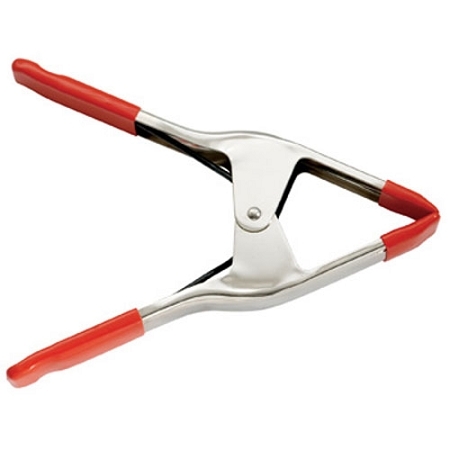 Spring Clamps have heavy duty springs for a firm grip. Nickel plating resists corrosion. Vinyl tips and handles prevent marring. Excellent for temporarily keeping materials attached to bars and other objects when patterning. Length End To End: 6 1/4"